Examples of chord sequences and sentences. Final chords of sequences were either music-syntactically correct or incorrect. Likewise, participles of sentences were either syntactically correct or incorrect. 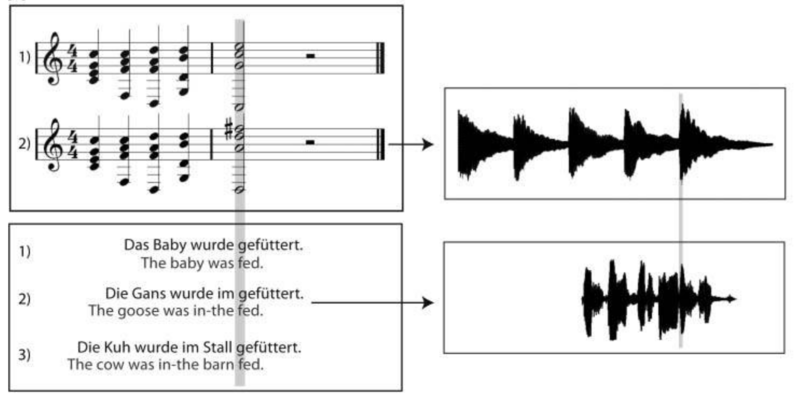 Music, speech, or both were presented simultaneously (sound example).